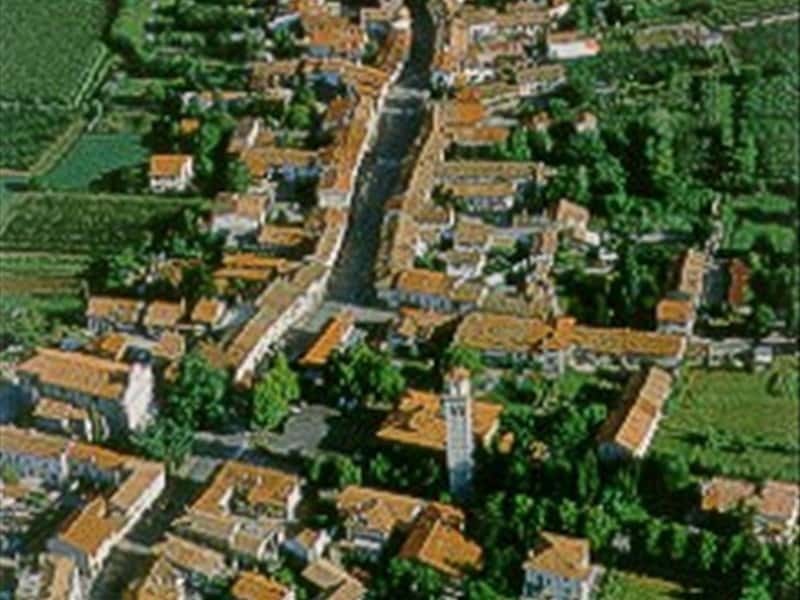 The town's name derives the proper Latin name of a person "Marianus", a Roman centurion assigned to this area, to start a new farming colony. Municipality in the province of Gorizia, located at the center of the Isonzo plain, it consists of two main districts: Mariano and Corona. The town is famous for its craftsmen, specialized in handmade chairs since the XVIII century, and for the production of fine wines and food specialties. The whole centre is characterized by typical rural houses with courtyards. It was founded by the Romans around the year 181 B.C., in the same period in which the town of Aquileia was founded, as evidenced by the name and the discovery of artifacts related to time. It was invaded by the Turks in the second half of the XV century and involved in clashes with Venetian troops in the XVII century. Conquered by the Venetians, the town was fortified and became their headquarters. In the following centuries it was invaded by Habsburg and French troops and subsequently shared the same fate and historical events that marked the whole Friuli Region until its annexation to the Italian State. - the Church of SS Mary and Zeno in Corona, which was built in 1705 replacing the old church destroyed in 1699. The very simple and sober façade is surmounted by a tympanum. The church is flanked by a Bell Tower with a square base. Inside it is possible to admire the main altar designed by Lazzarini in 1729, with statues by Zuliani. Famous is the altar of St. Catherine, dating from the XVIII century, adorned with an altarpiece by Paroli and the Way of the Cross painted by de Finetti in 1950. This town web page has been visited 27,289 times.